Last week you learned tips and taboos when traveling to China. This week, we are going to teach more about the Chinese culture, specifically dating and marriage. Traditionally in China, marriages were arranged by the parents and youth would not see their husband or wife until the day of their wedding ceremony. However, at the beginning of the 20th century things changed greatly. These days young men and women have the freedom of finding their own significant others. Many choose to date colleagues and former classmates. Chinese people are very warmhearted and are eager to match single friends and family. It is a longstanding belief that this is good fortune for the match maker. So if you are in China and someone asks about your marital status, don’t be offended. It is a good chance they are trying to help you find a match. In China, there are many ways to begin a date. If you arrange the date yourself, you do not need to acquire consent from the parents. If it is arranged by the parents or family friends, prepare to be very tired after the date, as the parents will ask a lot of questions. Typical first dates include going to cafeterias or a tea house. If the two people enjoy each other, they may go on other dates to restaurants and cinemas. Currently online dating is popular in China. There are also many dating programs on TV. Are dating and marriage traditions in China similar to those in your country? Tell us about it in the comments below! Want to know more about dating and marriage traditions from around the world? Check out Savoir-Vivre, coming soon to www.scola.org! 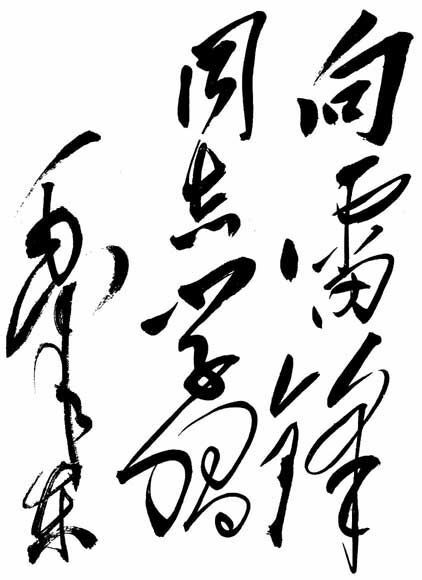 “Someone who is alive has been dead ; someone who is dead has been alive” these two lines are from the well-known poem “Someone” written by Zang Kejia, a famous modern Chinese poet. LEI Feng , a simple Chinese soldier belongs to the latter, he passed away 52 years ago, but he is still alive in the Chinese people’s mind. During his 22 years’ short life, LEI Feng created a legend of a Chinese soldier. He did not perform a world-shaking deed, all he had done were simple things which reflected his selfless and noble personality. He considered himself a son of the Chinese people, and served the country and its people wholeheartedly. He loved all jobs that were assigned to him. “Be a useful pe rson to the society” is what he wrote in his diary. Born into a poor peasant family on December 18, 1940, LEI Feng was raised by one of his relative, as he was an orphan at the age of seven. 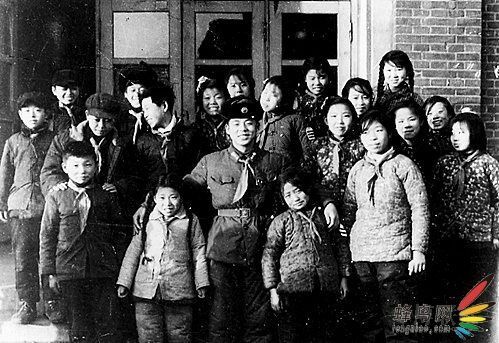 Along with other poor children he was sent to school after the founding of the People’s Republic of China in 1949. After his graduation from junior high school, he became a tractor driver in the countryside, then a worker. He joined the army as a truck driver in 1960. On August 15,1962, it was raining and LEI ’s colleague An was backing up the truck while LEI was directing him. Unfortunately , the truck struck a telephone pole which fell and hit LEI Feng’s head. All the rescue measures failed and LEI Feng died. He was only 22 years old. Two days later, his funeral was and, according to the newspaper, more than 100,000 local people attended. The scene was touching. People told stories about him in tears. On May 3, 1963, eight months after LEI Feng’s death , the late Chairman Mao Zedong of the People’s Republic of China wrote that “To learn from Comrade LEI Feng” . A large scale campaign to learn from LEI Feng was held all over China. March 5th was later named “Learning from LEI Feng’s Day” . One day a woman took her son to see her husband working in a city far away, but she found that she lost her wallet and train ticket as the train was leaving. She was so anxious. LEI Feng happened to pass by and when he heard of her troubles he consoled the woman and took her to buy a new ticket with his limited soldier’ subsidy. The woman was very touched and asked his name and address. Lei Feng smiled and answered “My name is a soldier, I am living in China.” At that time a train ticket cost a lot of money. There were three successive natural disaster from 1959 to 1961, which made the country short of food and commodities, and the economy was in tough. Another woman remembered that she and her two children met LEI Feng on the street on a stormy afternoon. They lost their way home in heavy rain and LEI Feng spent two hours walking in a muddy country road holding one of the boys in his arms. By the time they got home safe, it was dark. LEI Feng returned to the army without any food. Villagers remembered LEI Feng’s money donation when the village was in disaster. The students remembered LEI Feng was their after-school activities counselor. At that time, schools often invited model soldiers to be after-class counselors. LEI Feng often traveled by train for lecturing in other cities. The trains were crowded and never had enough seats for each passenger . LEI Feng always gave his seat to the elder. When he saw the busy train attendant , LEI Feng helped clean the floor, carry luggage for passengers and serve people hot water. LEI Feng was an army truck driver and spent most of his time was on the road. He always carried a book in his bag and whenever the truck stopped for a while, he would take the book out to read. He liked to spend his spare time in his dormitory reading. He began to write a diary in 1957 and after his death, people selected 121 diary entries and published them by the name LEI Feng‘s Diary. On June 7 1958, he wrote “If you are a drop of water do you moisten a small piece of land? If you are a ray of sunshine do you shine through darkness? If you are a grain of rice do you feed a useful life? If you are a screw do you forever stand fast at your post? If you want to tell me what your thought is，do you promote the lofty ideal day and night? Since you are alive do you want to put in a lot of hard work for the future life of mankind and make the world better and better？I want to ask you what you have done for the future. At the warehouse of life, we should not a lways take from it (maybe use consumer is better). LEI Feng’ spirit is handed down from the elderly to the young. The army where LEI Feng served , named his squad as “LEI Feng Squad” , and they keep a bed for LEI Feng. A soldier has made a bed for him every evening after his death. At every morning’s training the commander will address every soldiers name. when he calls “LEI Feng”, all the soldiers at “LEI Feng Squad” will answer loudly at the same time “Here”. Fifty-two years have passed, old soldiers have left and new ones have come, but the tradition has never changed. In China, we address LEI Feng to those who help the others without leaving their names. The volunteers and LEI Feng teams appear in large numbers in China. They are active at every corner of the country and they help those who need it. “Help Others and Happy Ourselves” is their slogan. It is easy for a person to do one good deed, but it is difficult for him to help others all his life. 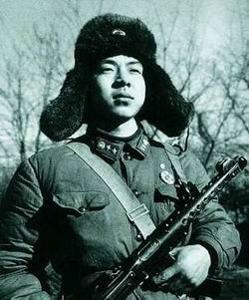 LEI Feng, a simple soldier set an example for us 52 years ago . He tells us that a person can live happily and noble in his way. Be sure to check out www.scola.org for more resources about China and other countries around the world!